Registration fee is $5 per child through April 15. $10 April 16-May 31; $20 per child June 1 and later. To help us prepare for the week, We strongly encourage registration as early as possible. Online registration will be available through June 5 at noon. Any registrations after that will need to be completed Monday morning upon arrival. 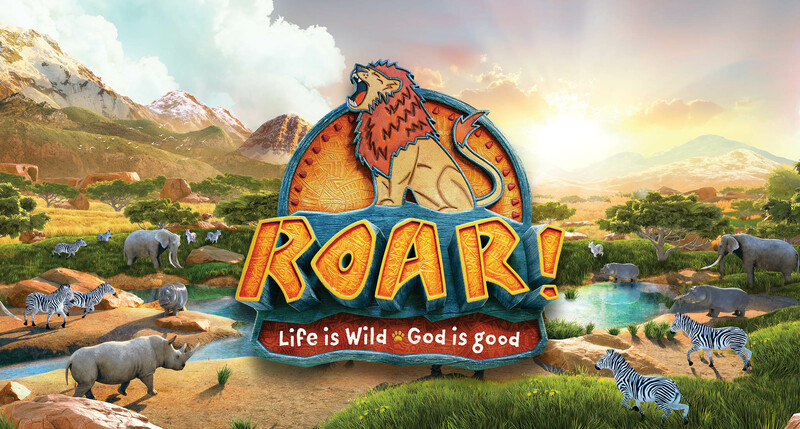 Children who have turned 3* by January 1, 2019 through completed 6th graders are welcome to participate in VBS. *All participants must be potty trained and able to spend the morning without a parent/guardian. Registraion online or pick up a paper registration from at the welcome center! We are so excited to spend the week with your kiddos! Please watch your email in the coming weeks for important VBS details! Be a Blessing: If you are interested in volunteering at all during our VBS week, we would love to have you be a blessing with us! We have many opportunities both with kiddos and behind the scenes. Every little bit helps! Contact Janet at janet.loos@knoxchurch.org or (913)888-7775 to get involved. Save the date to celebrate! : We will be having a Street Fair Friday night from 6 to 8 p.m. The kids will be able to sing some of the week's songs and enjoy each other's company with fun family activites and a reasonably priced meal hosted by our Outreach Team.